The terminated Dali Connect SC RM230ST is a 74 strand speaker cable with FEP jacket, carefully selected conductors and dielectric materials optimized for the free flow of sound. This terminated version is terminated with a cable split encased in a distinctive carbon casing that helps avoid unintended contact. By using pure oxygen-free copper, true concentric stranding, and insulating materials with low dielectric properties we ensure a low resistance, low distortion and well shielded path for the audio signal. 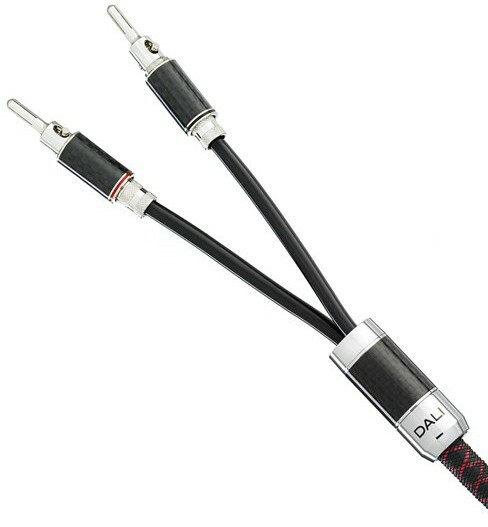 It is a common theme in all DALI speaker cables to keep all the conductors as tight as possible, while keeping the cable flexible and easy to place. By twisting the conductor bundles around each other in layers, and by changing the direction of the conductors in each layer, ensures that the layer underneath is tightly gripped. This forces every strand in the conductor to be closely packed together and thereby minimises microphonics. DALI CONNECT SC speaker cables reveal new layers of detail and low-level information, achieving a level of performance normally found only in much more expensive products.